Micro.blog users on iOS have a number of excellent options when deciding on which app they’d like to install including the official iOS app, Icro by Martin Hartl, and Slate by Chris Hannah. 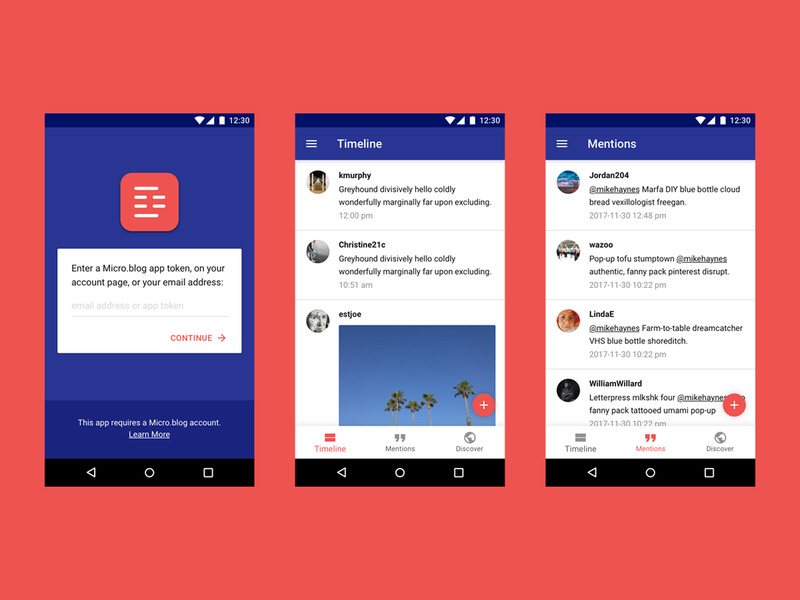 Android users, on the other hand, have few options for Micro.blog apps so we decided to make one. We’ve begun the development process as of December 2017 and will be keeping users updated as progress is made. We don’t have a timeline in place and don’t want to push ourselves so Dialog will arrive sometime in 2018, including a beta that we’ll be announcing soon.